By the late 1990’s the personal watercraft industry was nearing ‘maturity’ in the marketing product lifecycle and Bombardier spearheaded the responsibility of responsibly leading the sport into the next era with new, cleaner technology. 1998 marked not only a monumental model year for the Sea-Doo brand but for the entire industry. The drive for the industry to be more environmentally responsible equaled that of becoming more socially acceptable. The goal of the Sea-Doo brand team in 1998 was to not only to meet these objectives but also surpass them and ensure Sea-Doo watercraft would elevate the sports status to becoming socially ‘desirable’. 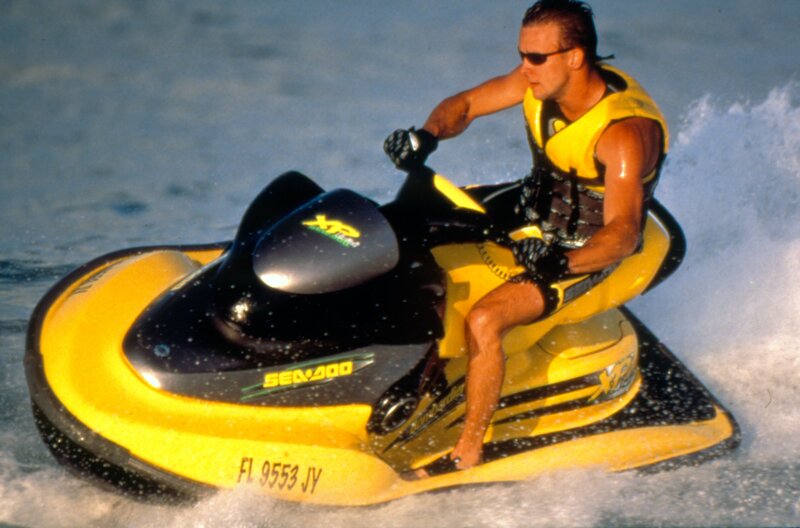 The 1998 Sea-Doo GTX RFI watercraft would be the first production watercraft equipped with cleaner technology including fuel injection and sound suppression. The RFI (Rotax Fuel Injection) system would reduce emissions by up to 30% and increase fuel economy by up to 15% and the D-SEA-BEL sound reduction system would substantially reduce sound emissions. The model would lay the groundwork for all cleaner watercraft technologies to follow. The RFI system was a semi-direct fuel injection system that supplied fuel at a much more precise, metered rate than standard carburetors. The D-SEA-BEL sound reduction system utilized a series of baffles acoustical foam and Hemholtz resonators to cancel the frequencies irritating to the human ear. The Sea-Doo GTX RFI would help lead the charge in educating governing bodies around the world on the proactive efforts the industry was taking to address any and all concerns.